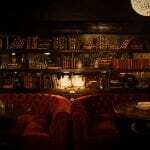 With Valentine’s Day quickly approaching, I knew I wanted to create a fun new recipe for you guys. But since the holiday falls on a Thursday this year, a recipe that has a million steps or needs to simmer all day just isn’t practical. So, what LOOKS impressive, but is actually pretty simple? 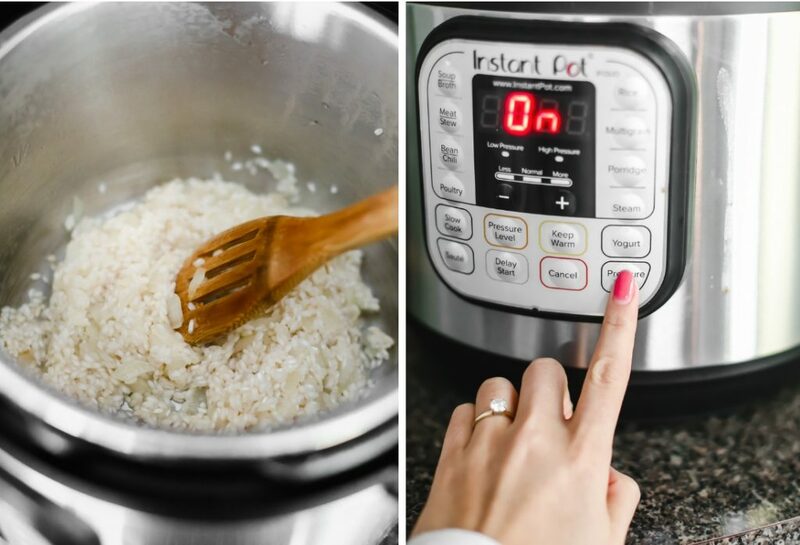 How about Instant Pot Risotto?! Oh yeahhhh! 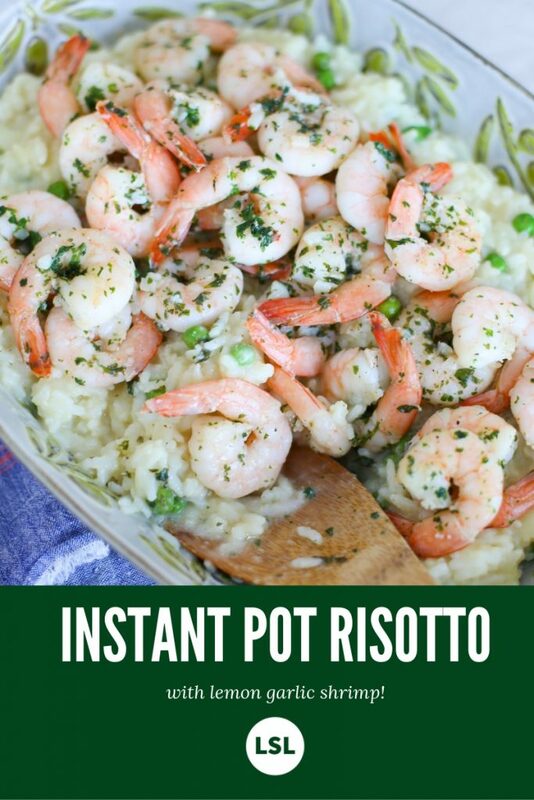 I actually had no idea that Instant Pot Risotto was even a thing until a few weeks ago when my cousin told me that he had an Instant Pot but hadn’t used it yet. I told him how easy soups and salsa chicken were, and then he casually mentioned that his Mom got him one because she makes risotto in it. Ummm, BACK UP. What?! 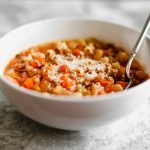 An Italian makes risotto in an Instant Pot? Color me curious! Turns out it works. 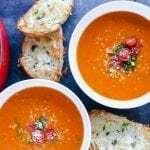 Save the original stirring method for cozy weekends, because if you’re making dinner on a busy work day, this couldn’t be easier! Also, if you don’t have an Instant Pot you can definitely still make this recipe!! I have some notes at the end of the recipe, or you can follow the method I use in this recipe for Spring Vegetable Risotto. Basically, instead of adding all of the broth at once, you’ll want to keep about 5-6 cups warm on the stovetop in another pot. Add the broth to your rice about 1/2 cup at a time, stirring very frequently. Once the rice is creamy and tender (should take about 5 cups of liquid, more if you need it though! 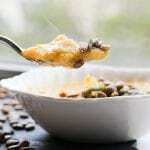 ), add the peas and parmesan! As great as this quick new method is, I’ll always love the original approach when I have the time. 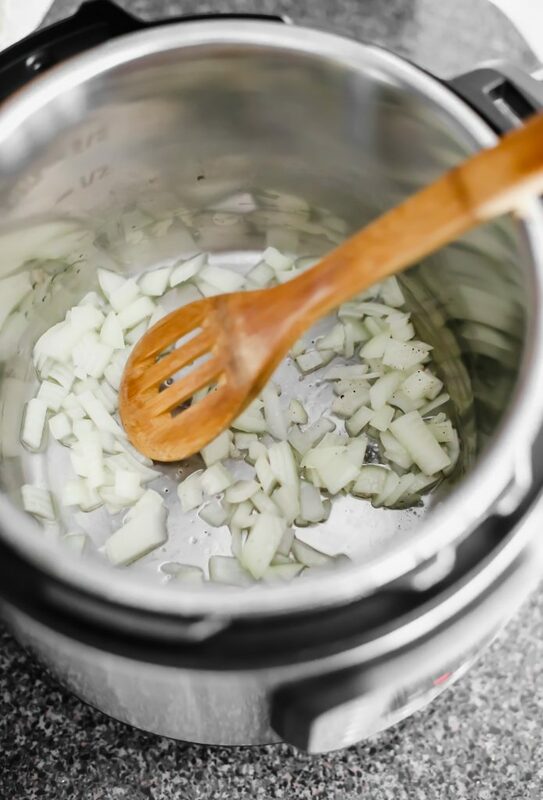 There’s something so calming about the smell of onions while slow stirring to a good playlist. Mmmm. And then there’s the SHRIMP! Whenever I think of things that look impressive but are actually easy, I think of shrimp right away. Why? Because they take NO time to cook! These little guys only take 5-6 minutes to go from raw to lemony garlicky perfection. So good. 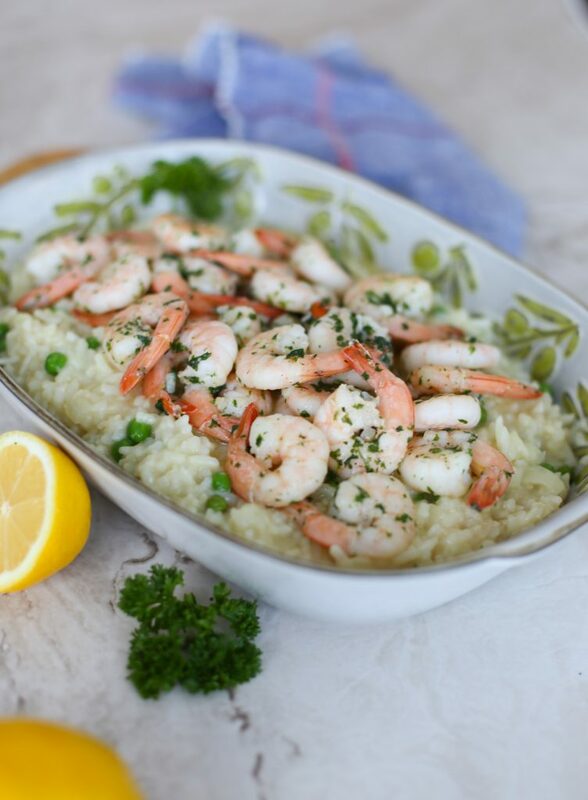 When you’re ready to eat, pour the shrimp over the top of your risotto – including the extra butter, garlic, lemon, and parsley that doesn’t stick to the shrimp. 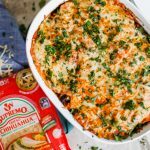 I served this with a big arugula salad and it was a perfect plate for a special dinner! 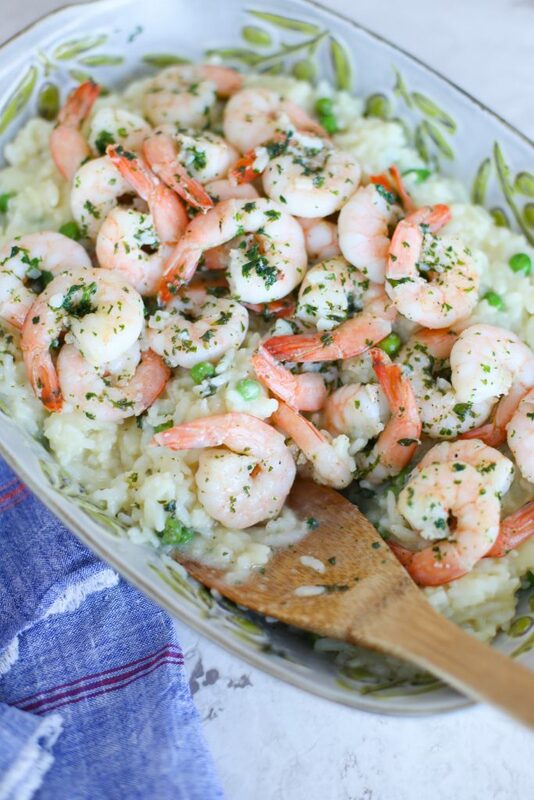 Have you tried making risotto in it yet? 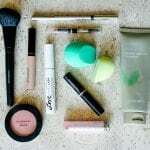 I’d love to hear your experiences! Sauté chopped onion in olive oil and salt and pepper for 3-5 minutes (until onion is translucent). Add 1.5 cups arborio rice. Stir the mixture over the heat for about 2 minutes to toast the rice. Add 2/3 cup vermouth (or dry white wine). Let the alcohol cook off and the liquid absorb/reduce for about 3 minutes. Add 4 cups of broth. Cover the Instant Pot and lock the lid in place. Make sure the valve is turned to "sealing" - this is very important! Set the Instant Pot to pressure cook on high pressure for 8 minutes. 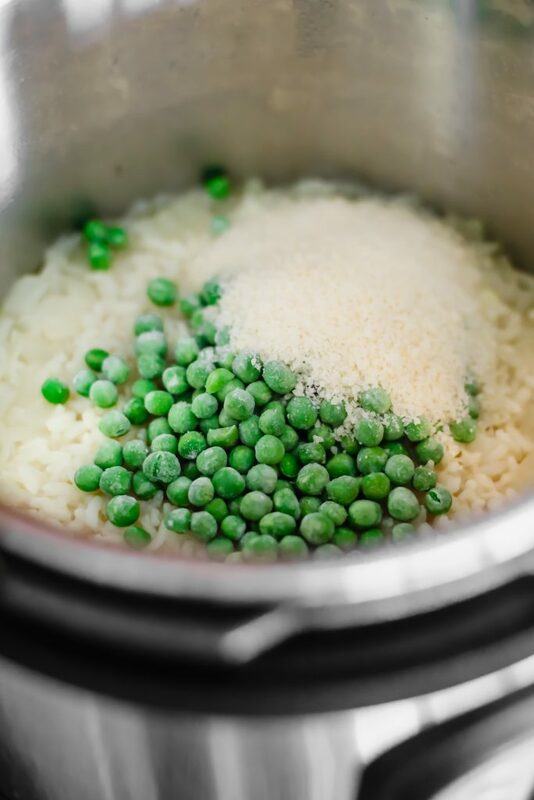 Uncover and stir 3/4 cup of frozen peas immediately into the risotto. For the shrimp, add butter to a pan over medium/high heat. 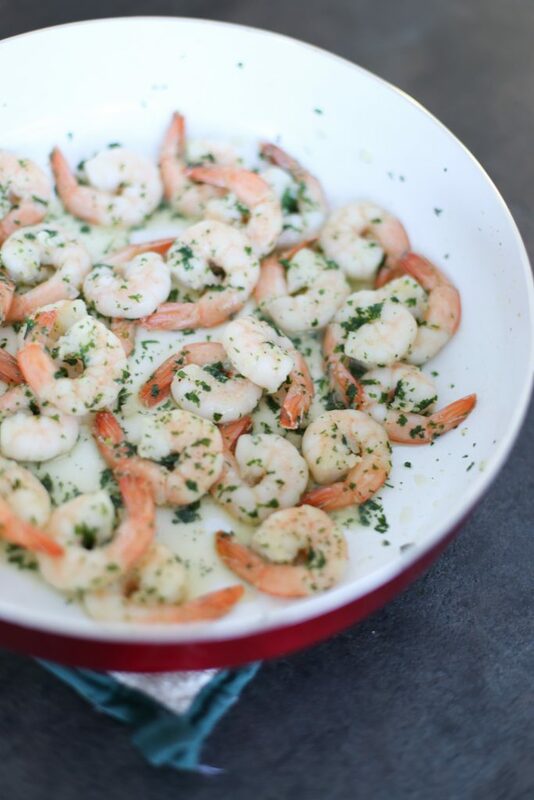 Once melted, add your shrimp (make sure they are peeled, deveined, and defrosted!). Season with salt and pepper and cook until both sides are just pink, about 2 minutes. Add minced garlic, cook for another 3 minutes. Turn heat off and add the juice of 1/2 a lemon and chopped parsley. 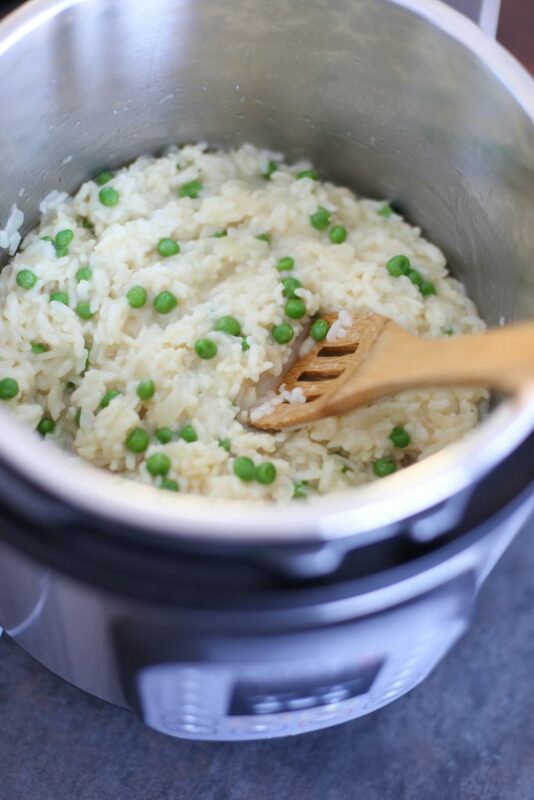 *If you don't have an Instant Pot, you can still make this risotto! Instead of adding all 4 cups of broth at once, keep 5-6 cups of broth warm on the stovetop in another pot. Add the broth to your rice about 1/2 cup at a time, stirring very frequently. 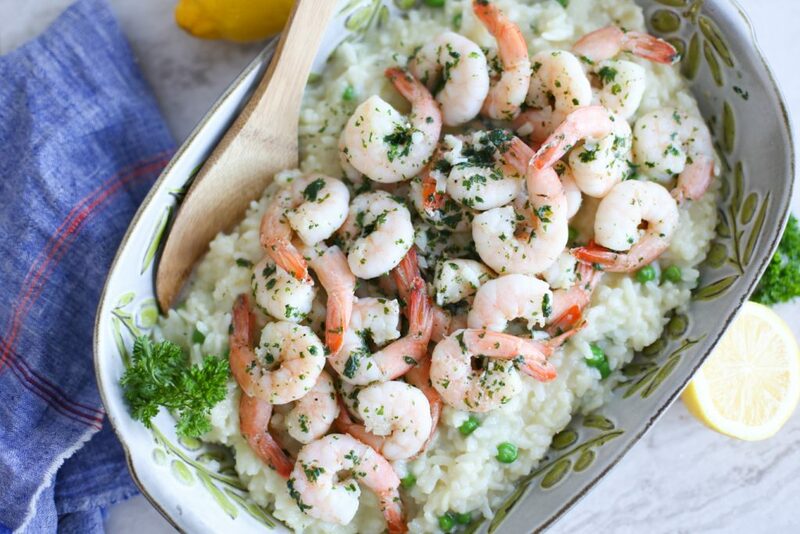 Once the rice is creamy and tender, add the peas and parmesan! 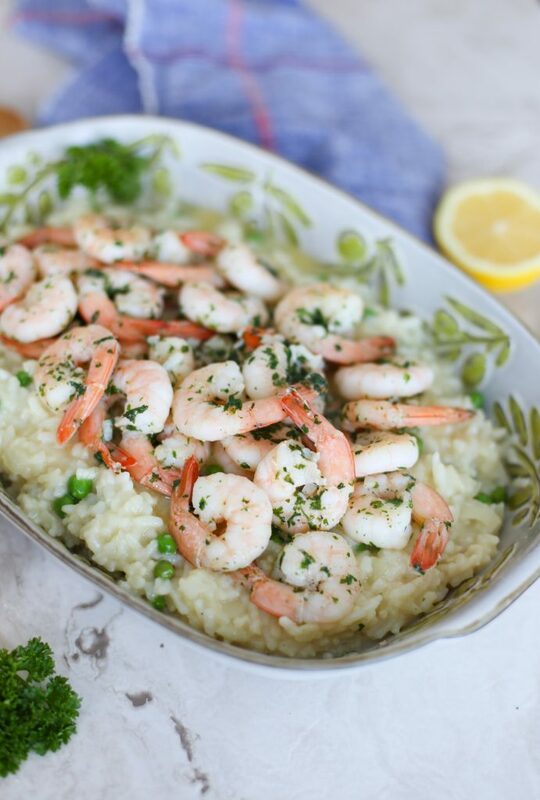 Want to remember this Instant Pot Risotto and Garlic Shrimp for Valentine’s Day? Pin the image below! PS. You might also like my Spring Vegetable Risotto, Homemade Pomodoro Sauce, and Mama’s Easy Lemon Chicken.